Your favorite everything bagel seasoning gets a major upgrade when used to season chicken breasts that are roasted to perfection. 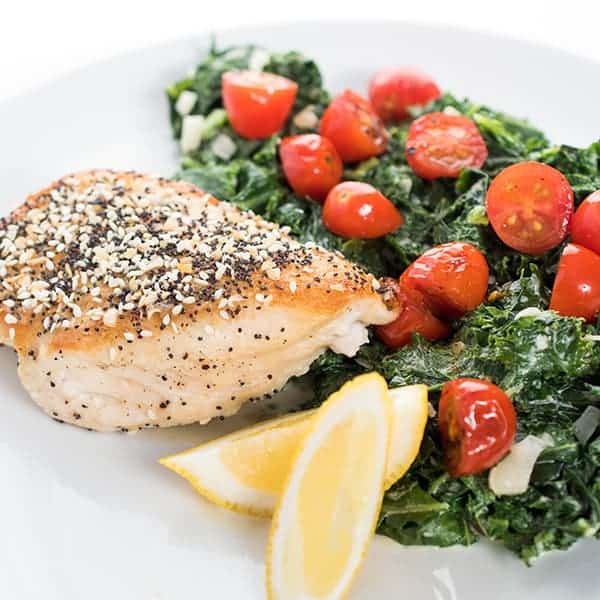 Served with creamed kale and tomatoes, this dinner recipe from Home Chef is sure to be a family favorite. 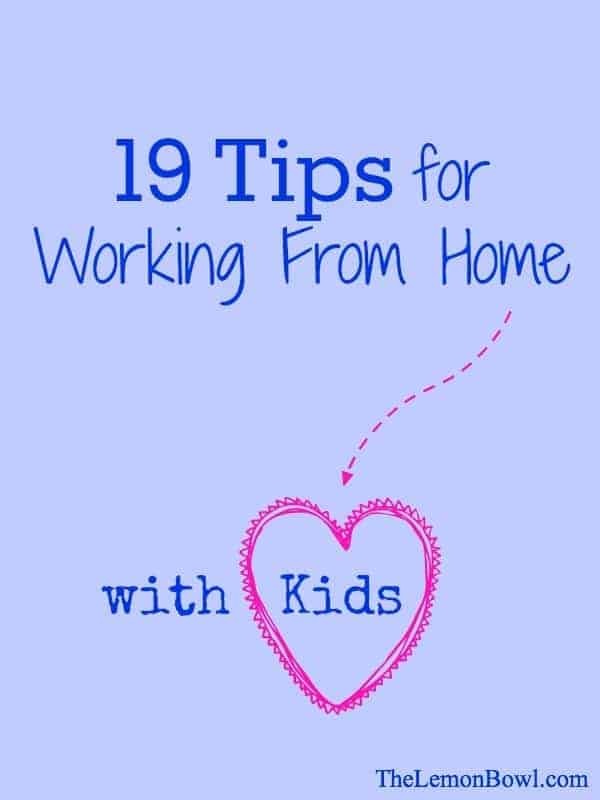 When it comes to getting a healthy dinner on the table that I know all three of my boys will eat and enjoy, I am all about getting a little assistance. 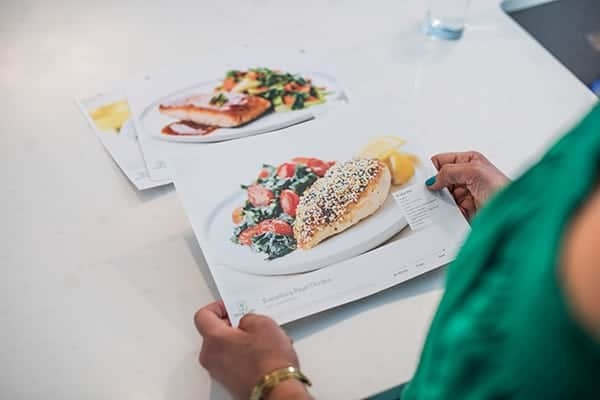 With so many meal kit delivery services available these days, it can be hard to know which will be best for you and your family. 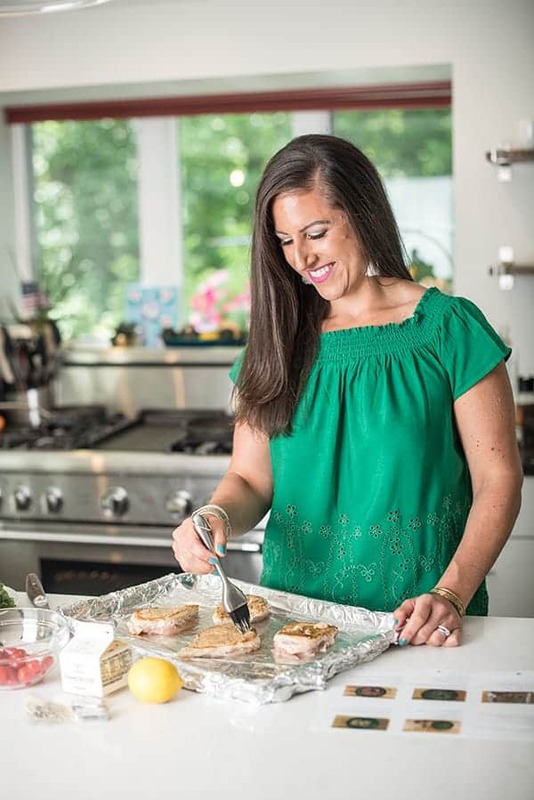 For me, my decision to test out Home Chef was based on: variety of meals (they offer 17 weekly meal items to choose from! ), healthy options and unique flavor profiles to avoid boredom. For our first meal I prepared Everything Bagel Chicken which is serviced with creamed kale and blistered tomatoes. 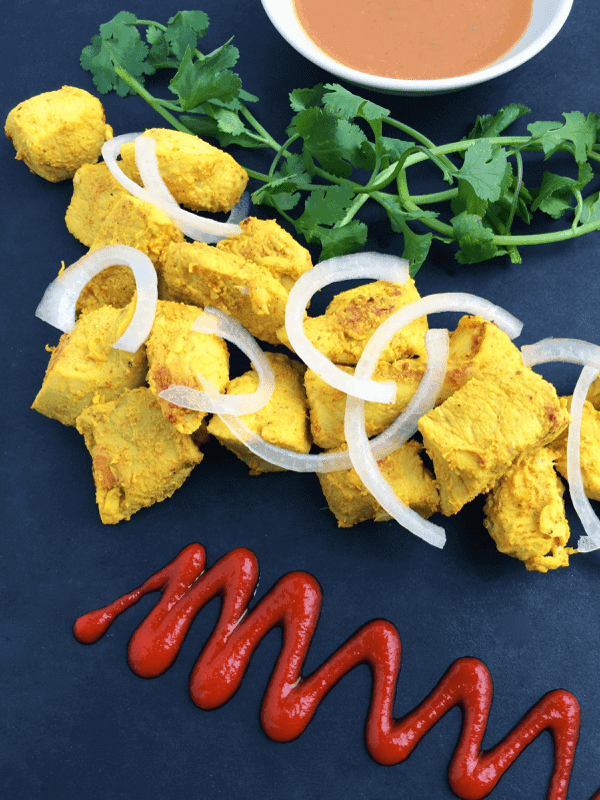 Home Chef makes it easy to avoid wheat if you have gluten allergies in your family and this recipe is just one example of what you might find in your box. 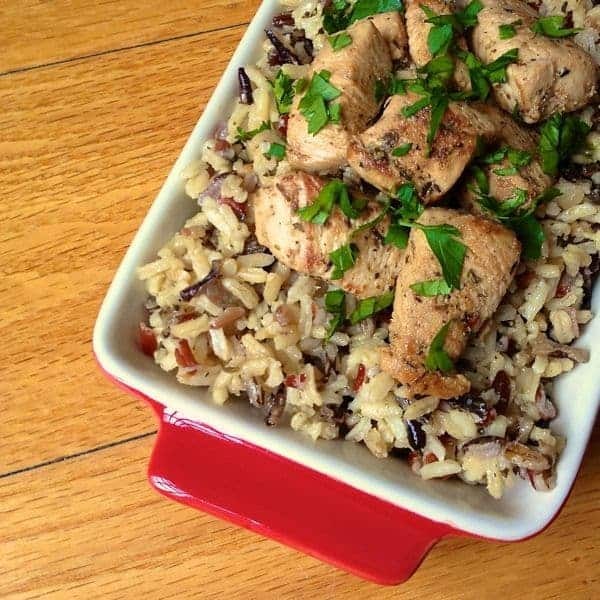 One technique used in this recipe which I love using on all sorts of proteins is to brush the chicken with Dijon mustard. I’ve done this with salmon and pork and it always results in succulent, tender meat/fish. What’s great about Home Chef is that they can offer different levels of difficulty which is a great way to learn new cooking techniques. Mustard becomes the glue to hold the everything bagel seasoning which turns bland chicken breasts into something truly next level delicious. 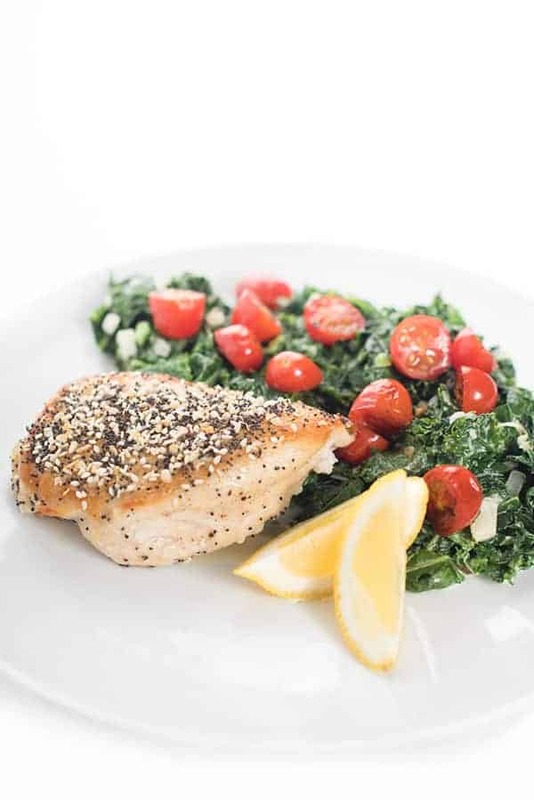 When you’re ready to serve the chicken, creamed kale and tomatoes, Home Chef recommends a little squeeze of fresh lemon juice to bring together all the flavors. You KNOW I’m down with this tip! It’s true: lemon makes everything better. 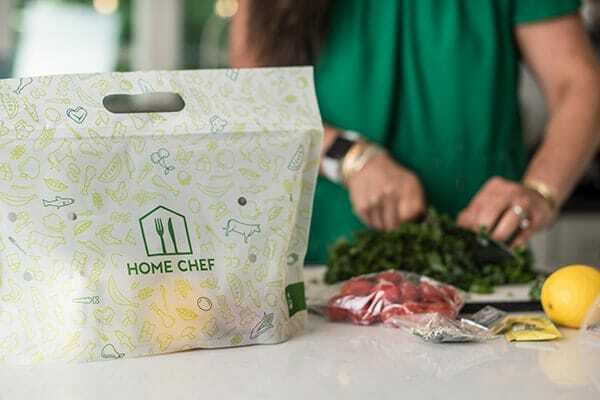 If you’re looking for a convenient and approachable meal delivery kit, I can’t recommend Home Chef enough! As an added bonus, they also offer vegetarian items, 5-Minute Lunches (no cooking required!) and tasty add-ons like smoothies. 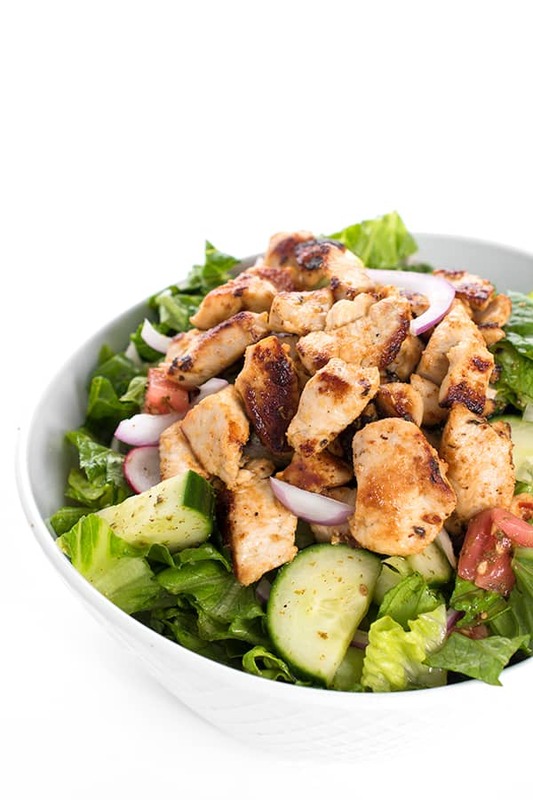 As a loyal reader of The Lemon Bowl, I invite you to take $30 off your first Home Chef order by clicking here and using code LEMONBOWL30! Your favorite everything bagel seasoning gets a major upgrade when used to season chicken breasts that are roasted to perfection. Preheat oven to 400 degrees. Thoroughly rinse produce and pat dry. 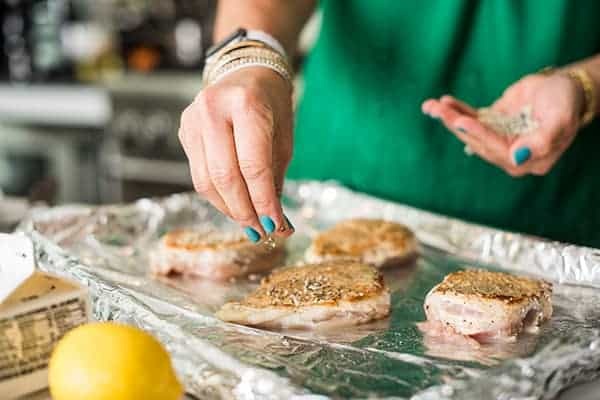 Prepare a baking sheet with foil and cooking spray. Prepare the Ingredients: Peel and mince shallot. Stem kale and coarsely chop. Halve tomatoes. Halve lemon lengthwise and cut into wedges. Pat chicken breasts dry. Place a medium non-stick pan over medium-high heat. Add olive oil and chicken breasts to hot pan and sear undisturbed until browned, 3-4 minutes. Transfer to prepared baking sheet, seared side up. Reserve pan; no need to wipe clean. Brush tops of chicken with Dijon and sprinkle with everything bagel seasoning. Roast in hot oven until chicken reaches a minimum internal temperature of 165 degrees, 9-11 minutes. While chicken roasts, make creamed kale: Place a large non-stick pan over medium heat and add 2 tsp. olive oil. Add shallot to hot pan. Stir often until shallot begins to soften, 2 minutes. Add cream and ¼ cup water and bring to a boil. Once boiling, add kale and ¼ tsp. salt. Cover, and reduce heat to medium. Stir often until kale wilts and sauce has thickened, 4-5 minutes. Stir in butter until melted. Remove from burner. Return pan used to cook chicken to high heat. Add tomatoes to hot pan and cook until lightly charred, 2-3 minutes. Season with a pinch of salt and pepper. Remove from burner. Plate dish as pictured on front of card, squeezing lemon wedges over to taste. Bon appétit! Disclosure: This post is written in partnership with Home Chef. All thoughts are my own. Thank you for supporting the brands that make The Lemon Bowl possible. 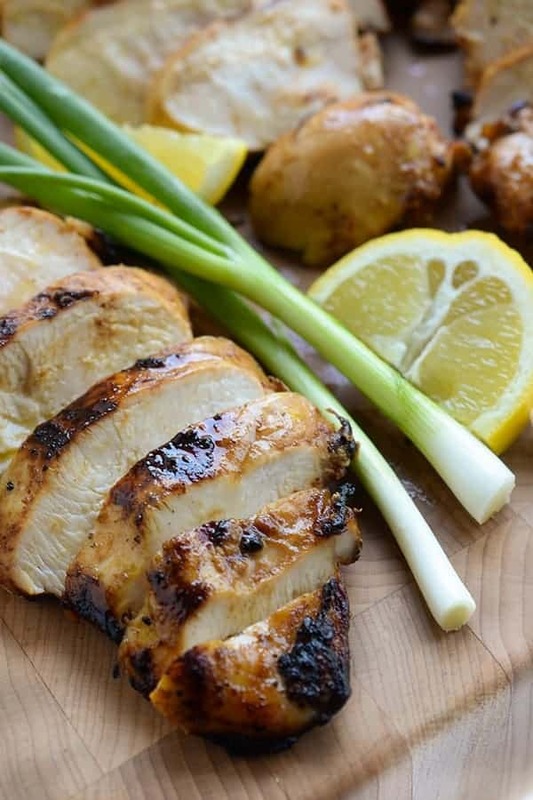 For more healthy and easy dinner ideas, follow my Pinterest board! I love everything bagels! This sounds incredible! Gosh aren’t they so good?? Me too! I’m all about everything bagels — this is perfect! You would love this then!! 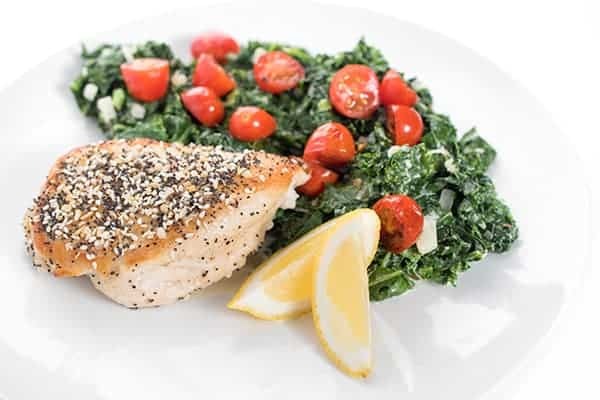 That creamed kale and tomatoes has me drooling over here! Yum! YUM! Perfect weeknight dinner, the everything bagel spice blend is the BOMB!